In Ottawa, there are two sights that remind homeowners it’s time for spring maintenance: bikes on the road and geese in the sky. With the recent double-digit temperatures, it seems spring has won its annual wrestling match with winter. And, as spring fever sets in, you may want to store your parka and get at those spring maintenance chores. A great place to start is making sure the melting snow and runoff flows freely off your roof and away from your home instead of seeping in or collecting at the foundation. Improper drainage can cause problems like foundation flooding, soil erosion, water in the basement or leaks in the attic crawl space. Water damage is an expensive nightmare every homeowner wants to avoid. Here are some tips to take advantage of the weather and get a head start on spring. A record-breaking snowfall dropped over 50 cm one February day, so Ottawa homeowners are well advised to perform a roof inspection in case the sheer weight of the snow caused damage. Depending on moisture content, snow weighs about 1.25 lbs/sq ft for each inch of depth, so 50 cm is a heavy load. Avoid a dangerous climb and use binoculars to survey the roof. 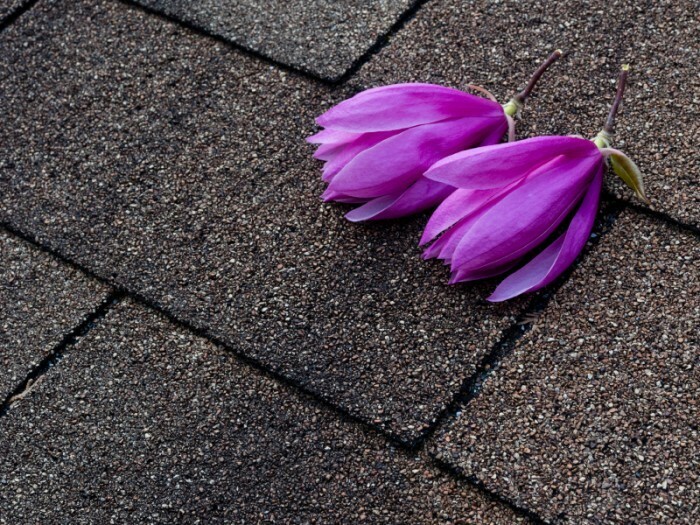 Identify damaged shingles, soffits, fascia and flashing. If the roof is metal, check for corrosion. Inside the house, check the attic and roof deck for any structural deformations. Examine walls and ceilings for water stains or cracks. Nature can leave more garbage in spring than in fall, so gutter cleaning is high priority. Clear all debris from eaves troughs and downspouts. Check for water stains, especially under eaves and near gutter downspouts. Water stains can mean that your gutters are not containing the roof runoff and they should be repaired or replaced. Make sure downspouts drain away from your home’s foundation. If necessary, add extensions to carry water at least 3 to 4 feet away. If you have a masonry chimney, check the joints between bricks or stones for signs of water infiltration. Also, look for efflorescence which indicates groundwater is “wicking” into the masonry and it could need replacement. Unblock the drainage paths around your home so the snow melt flows away from your foundation. Open access to sewer drains that are on the street in front of your property. Check inside the basement, inspecting the walls for evidence of a leaking foundation. If your home is on a slope, you may need to install a sump pump or an exterior drain pipe leading away from the foundation. Smooth low areas in the yard or near the foundation with compacted soil. Spring rains can cause yard flooding, which can lead to foundation flooding and costly damages. Also, when water collects in these depressions in summer, it creates a perfect breeding ground for insects. Although winter may still rear its blustery head, you’ll be happy you switched to spring fever mode and started the chores. The post Time To Get Out The Spring Maintenance Checklist appeared first on Team Realty.